World Enough (And Time) Launches April 2nd, 2019! 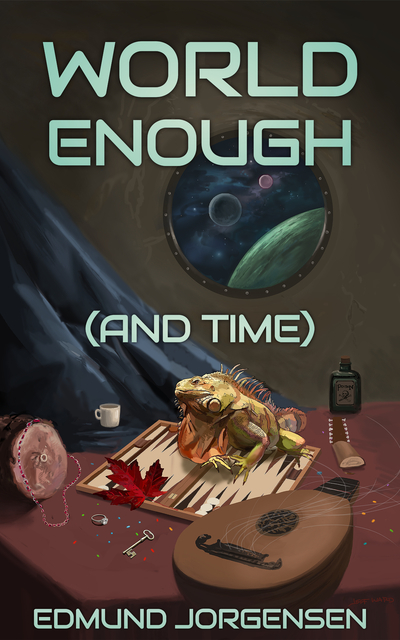 World Enough (And Time) will be released in e-book and printed editions on April 2nd, 2019! It’s a sci-fi comedy of manners and errors, full of twists and turns. If you enjoy the work of Douglas Adams—or have always longed for something inspired by P.G. Wodehouse or Kingsley Amis but set on, you know, a spaceship zipping through the void at an appreciable fraction of the speed of light—you should check it out. Furthermore, having already purchased a ticket for a luxury space-cruise “on expectation” of said inheritance, Jeremiah can no longer pay for said ticket. Or if you don’t dig the whole pre-order thing, you can sign up for my mailing list below and get reminded when it releases.